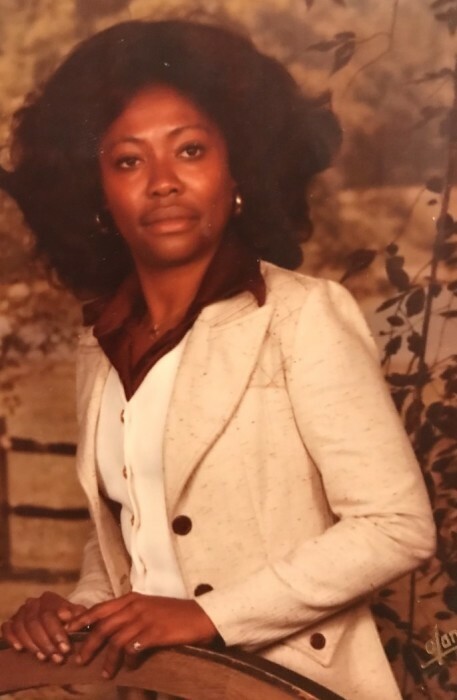 Our beloved wife, mother, grandma, sister, aunt, cousin and dear friend, Ruth Ann Edwards-Harvey, was born on January 27, 1946, in Camden, Arkansas to the Christian lineage of the late Calvin and Mary Magdalene (Williams) Edwards. Ruth Ann was the maternal granddaughter of the late Willie ‘Bumblebee’ Williams and Burlie Nails Polk and the paternal granddaughter of the late Josephus and Hattie Willingham Edwards. In her early teens, Ruth Ann accepted Jesus Christ as her Lord and Savior. She was an active member of the Pilgrim Rest Missionary Baptist in Camden, Arkansas. God gifted Ruth in music for her voice that cultivated a configuration of an angel. She was the lead soloist in the Junior Choir, an active member of the church’s Sunday School, Baptist Training Union (BTU) and a proud member of the Edwards Sisters Quartet. Ruth Ann graduated from Lincoln High School in Camden, Arkansas, and advanced her education at Arkansas Agricultural Mechanics & Normal College, presently known as the University of Arkansas at Pine Bluff. In a rush to class, she met and fell in love with the great Louis “Birdman” Harvey. They got married on June 7, 1964, and would have celebrated 55 years of everlasting love and friendship this year. To this union, three children were born. In 1965, Ruth and Louis moved to Benton Harbor, Michigan, and have been residents of their beloved community for 54 years. Through them and many others, she continued to maximize a legacy of not living forever, but merely creating something that will. Ruth’s degree in Psychology allowed God’s call to gift and purpose. She was an advocate for young people, always inspiring, motivating and standing in the gap during their developmental journeys. She was indeed a trailblazer. Ruth Ann was the first, African-American and Woman, who served as the Director of Patient Accounts at both Mercy and Memorial Hospitals. Along with Cedarwood Medical Center, Ruth Ann worked in the field of medicine for over thirty-two years. She was a part of the “Leadership Team” that merged Mercy and Memorial Hospitals, now known as Spectrum Health Lakeland Medical Hospital. After retiring from hospital administration, Ruth found a new home as the Equipment Manager for Benton Harbor Area Schools Athletic Department. It was during this time, her impact became even more profound as she became the Ambassador of Benton Harbor Athletics and Administration by becoming an advocate for Title IX, equity and equality for young women who participated in sports. Her leadership expanded far beyond the standard of basic care for athletic equipment. Ruth’s pride, vision, love and unwavering dedication to the student-athletes were undeniably unprecedented. The love and level of care that Ruth has shown was so evident, every young person that she came in contact with, she became infamously known as “Nana” to them all. The essence of her humanity embodied imbrued meaningful touches filled with unconditional love and forgiveness. With just one small gesture and a famous quote or two, Ruth Ann has truly changed the lives of so many aspiring people. Her presence cultivated a mood of solitary fantasy which transformed a million realities. Her words resembled a library of necessities and a luxury of self-love. The “Whole Nine Yards” of her selfless teachings, encouraged others to adapt to life events, changing the plan, but never the goal. She once said, “I will always be able to look at you, but will you always be able to look at me?” Well, Ruth Ann, now the sky is your limit. “Nana” will truly be missed. She leaves fond memories in the hearts of her loving husband of 55 years, Louis “Lou” Harvey; one son, Tony Harvey, two beautiful daughters, Felicia (Lisa) Harvey and Stephannnie Harvey-Vandenberg; one son in love, Kyle Vandenberg; three wonderful grandchildren, Kalabrya Le’Brae, Kysre Rae, and Grant Kalon Louis Gondrezick II; seven exemplary sisters, Carolyn Delois (Linny Ray) Oakley, Barbara Ann (Charles Edward) Johnson, both of Camden, Arkansas; Mary Catherine Guillory of Lake Charles, Louisiana; Burlie Elizabeth (Michael) Hansen of De Soto, Texas; Brenda, Sharilyn Edwards, and Marilyn Sue Edwards of Detroit, Michigan; three brothers, Charles Lewis and Larry Wayne (Laddy) Edwards both of Benton Harbor; and Kelvin Edwards of Antioch, California; three aunts, Barbara and Mary Scott both of Camden, Arkansas; and Linda Faye Williams from Little Rock, Arkansas; a special son, Prentice McGruder of Benton Harbor; a special granddaughter Lexus Johnson; one god daughter Sharon (Damarco) James, two god grandchildren Dyamond and Damarco James and a host of nieces, nephews, great- nieces, great-nephews, cousins, Lady Tigers, Benton Harbor High School, family and dear friends.